Enfield Water Polo Club is sad to announce the loss of their founder, 88-year-old Ken Hall, who passed away peacefully on Sunday afternoon. A popular and ever-present figure on the poolside since the Fifties, Ken was a friend to all and will be missed by not just Enfield, but the entire London and Middlesex water polo community. 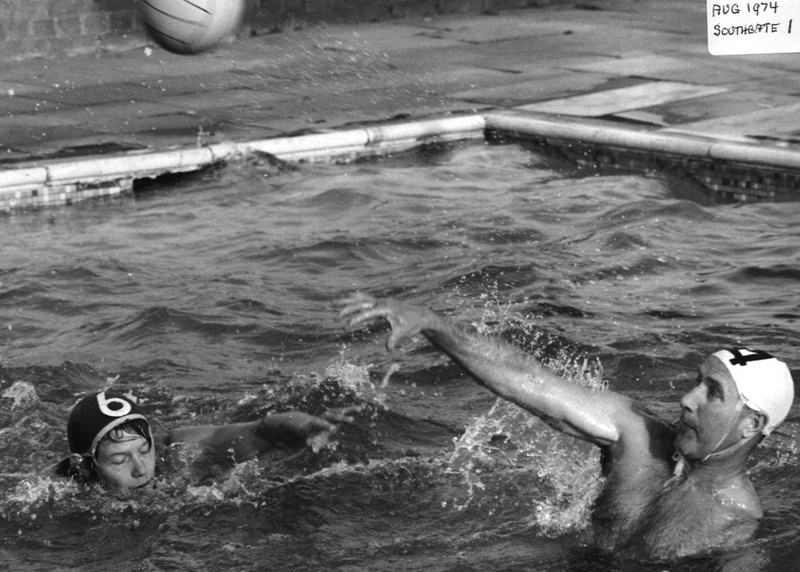 Ken played for Hornsey SC, the Royal Navy and Southgate before helping form Enfield Water Polo Club in 1961. He also went on to serve as President of the London Water Polo League in 2002 at the age of 75. Ken's passion and enthusiasm for water polo inspired hundreds of players – young and old – and he will be fondly remembered for dedicating so much to the sport he loved. "Ken has been at the heart of water polo in north London since the Fifties and the game has lost a true great," said Enfield club secretary Fred Willey. "As a player, Ken was famed for his lob shot, which he perfected at the old open-air Southbury pool, where he would launch an effort just as the sun was setting, leaving the goalkeeper blinded. "Later, he acted as club treasurer, secretary, and just about everything else. "While many other clubs have come and gone, Ken kept driving Enfield forward and the success the club has achieved is thanks to Ken's hard work through the years." As well as a thriving water polo club, Ken leaves behind his wife, Ann, two sons – Richard and Chris – and his daughter, Linda. There’s no doubt he’s already getting the goals out somewhere, but RIP, Ken – Enfield’s finest ever No.4. Ken served for many years both the Middlesex County Water polo Committee and the London League for many years including his Presidency of the latter in 2002. 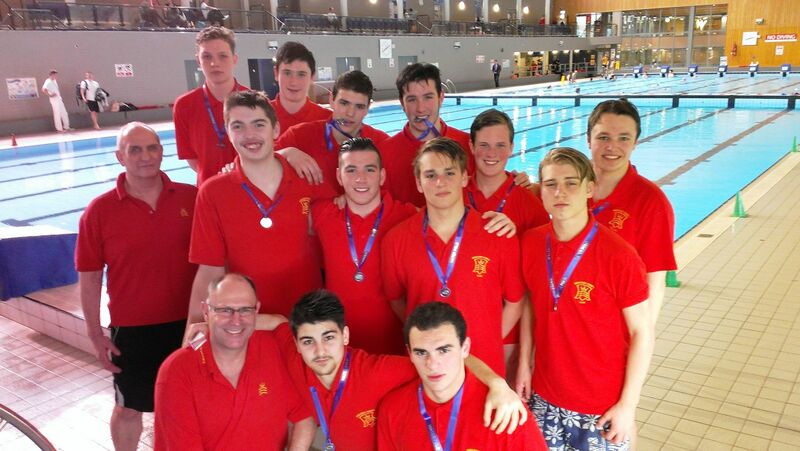 Southern Mens Under 19 Water Polo competition 2015 - Report. Middlesex re-entered the competition after not entering in 2014 due to a date problem (rearrangement by organisers) and being winners in 2013. We ended in runners up position out of 5 (no Essex) which is good as it demonstrates consistent strength with different players over the time period. Many teams wax and wane over a period such as this due to player change. Hampshire for instance went from winners to last in consecutive years. The team had three weekends of preparation at Uxbridge pool paid for by the county. Travel was in three cars driven by the three coaches. The team was run by three coach/managers: Paul Bryan, Martin Waller, Stephen Baker. The management team would like to express our thanks for the financial support for the team. Middx v Sussex W 9-3 Actually 10-2 but there was a table error. A match that was never seriously in doubt despite the scoreline, where the team used the opening game to blood all players and develop game play systems. We conceded the first goal and then went 6 unchallenged prior to a late flurry of opposition scores. Majors: Sina Dehnadi 1, Richard Waller 1, Kostas Chamalidis 1. The score says it all, but we were the only team to keep a clean sheet against Hampshire. We made the score 10-2 with a table error responsible for the variance. Majors: Harry Bird 1, Charlie Briers 1. A comfortable victory against the third placed side and a team which managed a draw against tournament winners. Probably our best game of the competition. Majors: Richard Waller 1, Frazer Briers 1, Alex Waller 1. A very tough final match for us, up against three international forwards and an accomplished and good team. We struggled to get into gear and missed an early opportunity, a very late and debatable penalty at the end of the first half seeing us turn round 2-0 down. We struggled to get back in and with the game gone ensured all players got a game in the final. We were closer than the result reflected but Surrey were worthy winners. Richard Waller, Alex Waller, Charlie Briers, Frazer Briers, Nikos Chamalidis, Kostas Chamalidis 1 each. 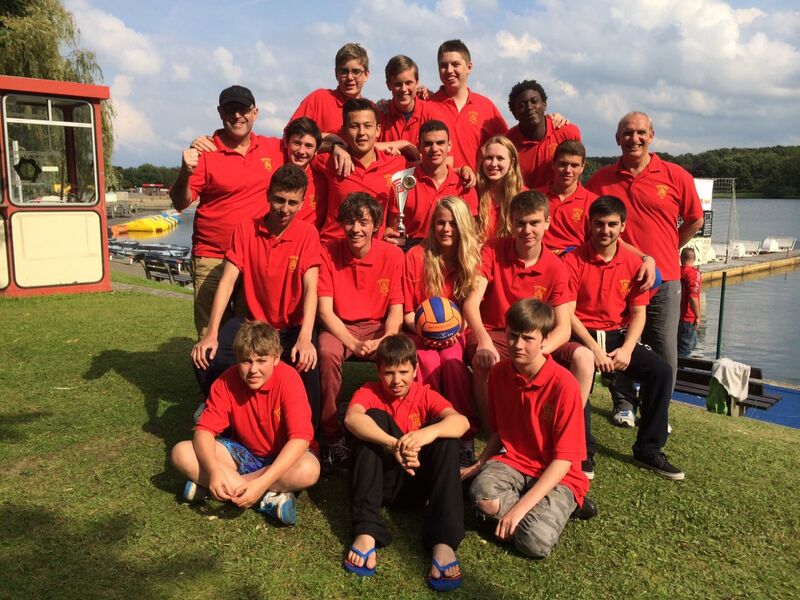 The Middlesex County U17 won the St. Niklaas (U18) Water Polo Tournament in August, for the first time. In recent years Middlesex Teams have won 4 youth tournaments in 4 years. In St Niklaas the team went undefeated through 5 1st round matches, then the semi-final and final. Opposition came from teams representing areas of Belgium, Holland, Germany, France and Britain. The team results were victories over Thalassa 15 - 0; Wase 8 - 4; Oostende 8 - 3; Cambridge 17 - 1; and Brugge 9 - 2, in the 1st round. In the Semi-Final Middlesex beat Wase 8 - 2; and in the Final the team beat Brugge 9 - 8. Paul Botje 23; Richard Waller 22; and Isobel Dean 11. Alex Waller 24; Nick Birch 9; and Sam Roberts 6. The official Middlesex Under 18 water polo training session takes place weekly at the Uxbridge Pool, Hillingdon, from 4-6pm each Saturday during term time. The pool is deep water and there are a number of experienced coaches in attendance including the London Regional development coaching team. We coach players from 12 through 18years old for county representative teams. All players wishing to play representative water polo should attend whenever they can. All clubs in Middlesex are asked to signpost their players to this valuable additional session. The county plays under U15/U17 and U19 competitions annually.